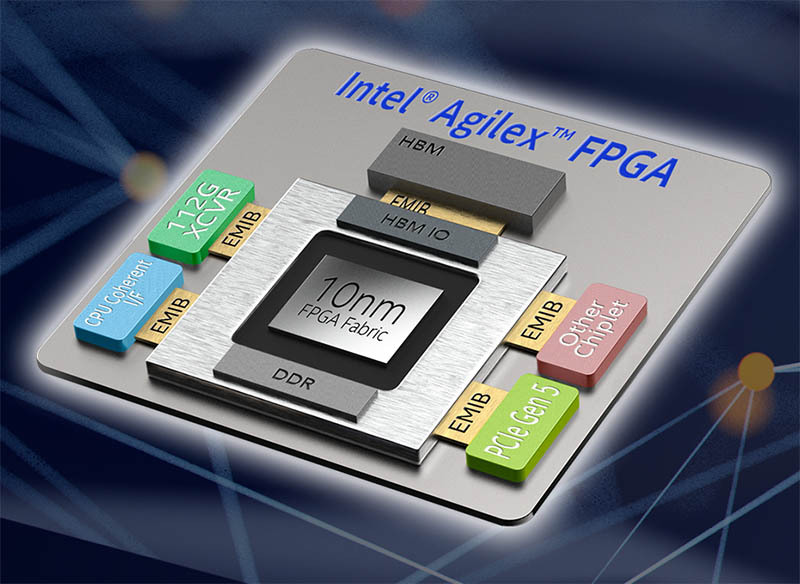 Intel Agilex is a new family of FPGAs that the company hopes will usher in its next wave of TAM expansion for the company. We were briefed on the technical details, then last week I had the opportunity to meet with Dan McNamara SVP and GM of Intel’s Programmable Solutions Group (formerly Altera) at their headquarters. Instead of framing this discussion from a purely technical side as we would have done otherwise, I wanted to discuss what Intel needs to do and is doing to ramp FPGA adoption outside of traditional markets. A fairly large portion of my discussion with Dan focused on a fairly simple concept: market expansion. To do this hardware is a key component, but frankly, not the biggest inhibitor to the success of expanding FPGA TAM. 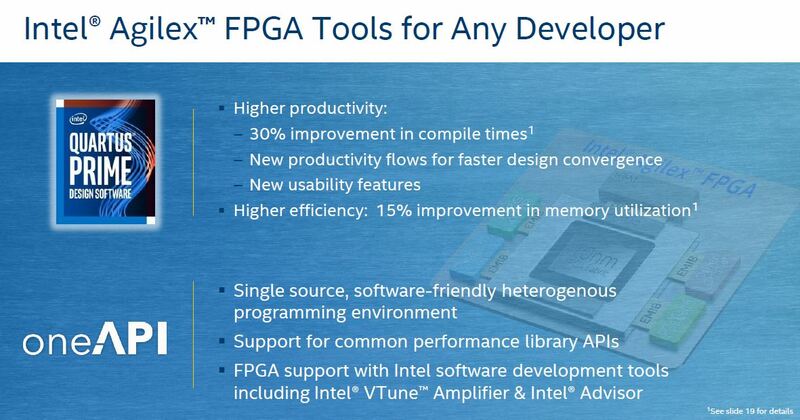 Instead, Intel and its chief competitor, need to crack the code on how to get more organizations using FPGAs. NVIDIA, and to a lesser extent AMD, had an easier path for getting organizations to use its accelerators. If a university student or someone trying to train on compute acceleration themselves on the side has to pick between spending a bit more for a better GPU that also plays games or a FPGA, they are more than likely to pick the GPU. CUDA is not easy, but things like RTL and placements are another set of difficulty. Both Intel and Xilinx are trying to bridge this gap, but the Intel One API story is more compelling at this point. One API is the concept where Intel will help accelerate workloads based on the Intel hardware available. I asked Dan when and how will STH see FPGAs in our review systems. 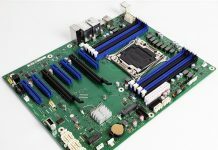 We have already tested large NVIDIA and AMG GPUs systems in pieces like our Inspur Systems NF5468M5 review, our Gigabyte G481-S80 review, and our Supermicro 4028GR-TR review. We have even smaller servers like in our Tyan Thunder HX GA88-B5631 review and are seeing interest in putting more Tesla T4’s in mainstream servers we review. On the FPGA side, we are not there yet. Dan told me that the consumption and ramp models would likely be different for FPGAs versus GPUs. Part of the current strategy involves cards like the Intel FPGA Programmable Acceleration Card N3000 for Networking which I saw in the conference room. 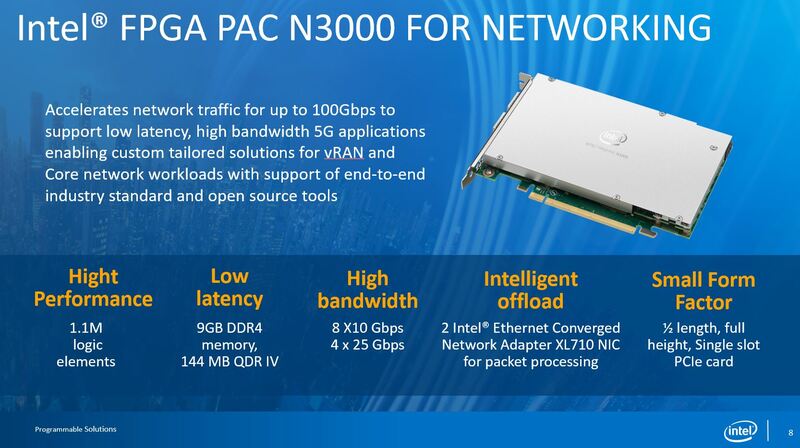 The Intel FPGA PAC N3000 is a packaged solution to allow systems integrators to easily add FPGAs to servers. Instead of having to do the physical format design, SIs and VARs can instead focus on the IP needed to use the cards, some of which Intel is packaging in pre-configured solutions. This is still a relatively high-touch sale, where a large SI (think Dell Technologies) can create a FPGA sled for the PowerEdge MX, bundle it with IP for NoSQL acceleration or AI inferencing, and sell it as a solution to its customers at scale. Note: Although we recently featured An Interview with Dell’s Robert Hormuth on 2019 Predictions we did not discuss such a FPGA sled, and I have no knowledge of this being a product. This is just being used as a conceptual example. Personally, I do not think that is enough. We recently discussed the role “Channel Cobblers” play in the ecosystem cobbling solutions from available parts. These VARs are selling GPU systems like hotcakes right now because the hardware platforms are readily available and there are large numbers of organizations that need only a few of these systems with order sizes in the $100K-$10M range. The hardware and logic for GPU acceleration are provided by NVIDIA. Then others like Google, Facebook, Baidu, and the open source community provide the software that runs atop the hardware. Time to create high-value AI applications on a GPU system is very short. Our discussion then turned to how does one support that type of ecosystem and how Intel essentially needs a market place. In a FPGA system, acceleration requires one more step. One needs hardware (e.g. the FPGA.) One then needs the programmable logic to tell the hardware how to exist. One then needs the software support to sit atop of that hardware. That middle step is something that Intel has a logic IP provider system to maintain. Those IP providers, currently, are out of the realm of channel cobblers. Practically, a channel cobbler can put a system together, but without the logic IP, that system does not do much good. To remedy this situation, Intel can offer pre-packaged solutions like the Intel FPGA PAC N3000. Winning here is not just about pre-packaged solutions, but in creating a marketplace. In many cases, the channel cobblers do not even know the IP providers and how they can accelerate applications their customers are looking for. Concluding the conversation, I said something along the lines of, Intel needs a marketplace to help bridge the gap between logic IP providers and a channel ecosystem that may understand GPUs but not FPGAs. 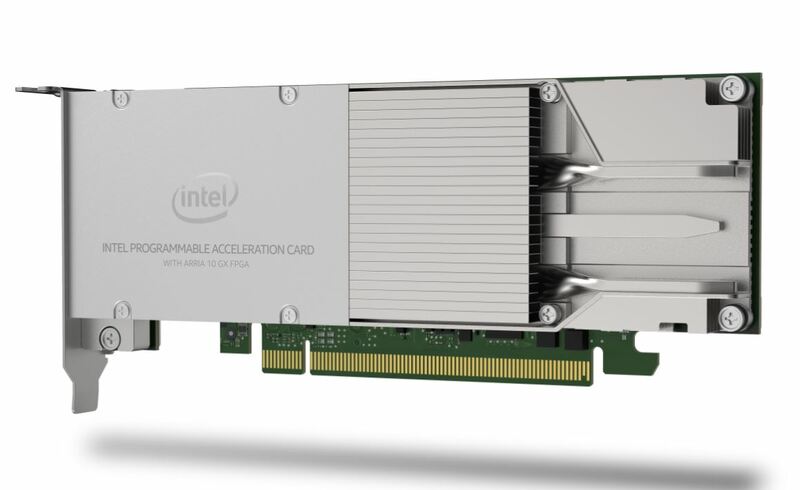 Offering turnkey FPGA-based solutions to accelerate workloads seems to be where Intel and its partner ecosystem are headed. This makes a lot of sense. Next, we are going to get into the Intel Agilex announcement itself.